You are here: Home › Make-Up Product Reviews › Foundation Friday Over 50 | L’Oreal Infallible 24H Fresh Wear Foundation! 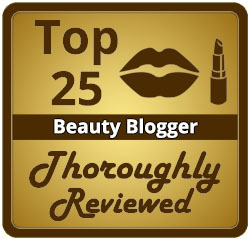 L’Oreal 24H Fresh Wear thoroughly reviewed on mature skin! Multi-Day Wear Test: 3 Days, 3 primers, brush, sponge, fingers, full sun, kitchen light, & flash photo tests! 4 Responses to "Foundation Friday Over 50 | L’Oreal Infallible 24H Fresh Wear Foundation!" 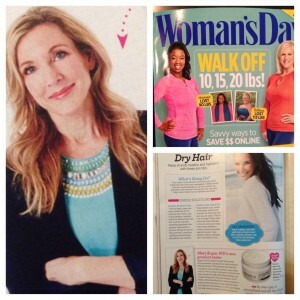 Hi, Angie-As a faithful follower, most of my skin care purchases are driven by your reviews and advice. This advice then gets dutifully passed on to my over-50 colleagues at the middle school where we all teach! We are on the edge of our seats waiting for the follow-up post to your dual fraxel laser treatment. You skin looks unbelievable, prompting me to book a consult with a local plastic surgeon. What do you know about IPL photo facials as opposed to the procedure you had? Are there other names for the dual fraxel laser? I am 59 and want to get the biggest bang for the buck. I would rather pay once for a procedure as opposed to getting nicled and dimed to death with procedures that require mutiple treatments. My budget is not unlimited, but I feel strongly about looking my very best. Please share your thoughts. The good looks of a bunch of upstate NY teachers hangs in the balance. PS- we are about 2.5 hours away from Boston and would travel for a better deal or procedure. Hi Tammy (& friends)! The Fraxel treatment I had done recently was on my chest and neck, not my face. It takes about a month to fully heal and see the results so I’ll be doing a post on it in a couple more weeks. In the mean time I’d direct you to my posts on the Fraxel laser treatment I had done on my face 3 years ago and the series of IPL treatments I had 6 years ago. To answer your question on what’s the biggest bang for the buck, it greatly depends on the condition of your skin. If you have mainly age spots and brown discolorations then a series of IPLs will be effective and the least expensive. If you have age spots and brown discolorations plus fine wrinkles then 1 Fraxel treatment will give you good results but a series of 3-4 will give excellent results. If you have age spots, brown discolorations and deep wrinkles then a CO2 laser will be a one shot fix that’ll give great results but will be the most expensive and have the most pain and down time. You can discuss all of the options with the doctor you’re seeing but they’ll only recommend the machines that they own and use. To get a fuller picture of what any one treatment can do, I’d look on http://www.realself.com where you can see before and after pics of many different lasers and treatments. Lasers come in name brands just like boxes of tissues so Fraxel is a name brand like Kleenex but you can use a machine from another brand for the same results. This info is usually beyond the average consumer so we have to rely on the provider to select the best treatment option, but again being aware that they may not own the best machine. Asking lots of questions and doing some research is important before making a decision. I think the pricing in your area would be better than it is here. You are fabulous. Thank you for taking the time to provide such a thoughtful and complete answer. I had a crowd gathered around me last week as I showed a picture of you on my tablet to my coworkers during morning hall duty. Following you has totally changed my approach to skin care. I got on the retin-a train and off the expensive prestige skincare brand train. I have adopted almost all of your recommendations, and I don’t make a purchase without checking your archives first. Thank you for performing this valuable service. You’re an amazing resource for the over 50-crowd! great info! Thank you for sharing! !